What is Our Most Important Piece of Photography Gear? When you are out taking photos and walking about all day, either on hard pavement in the city or along a forest trail out in nature, what do you think is the most important part of your photography gear? We spend lots of money on camera bodies, lenses, tripods, memory cards, bags and other sundry items. But how many think about taking care of what carries all this weight around with us… our feet? 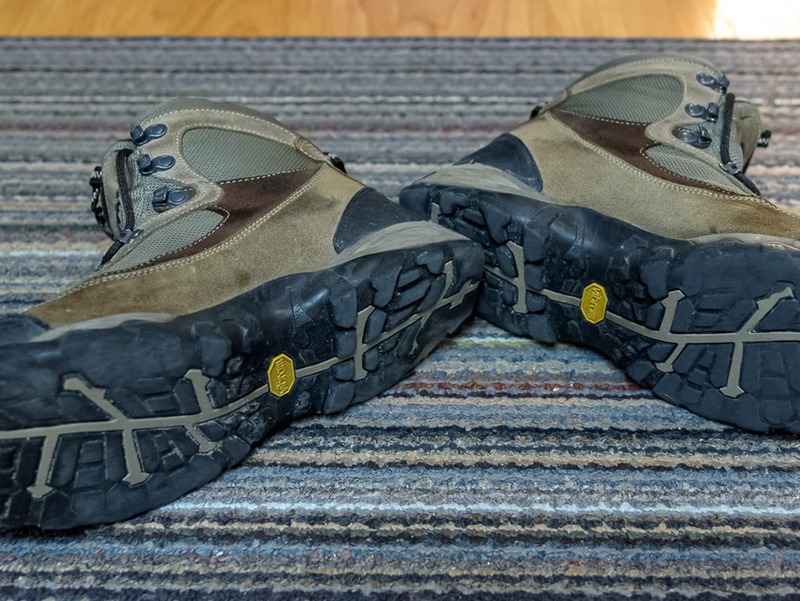 Over the years, I have owned a lot of different footwear, some of which being a typical Winnipeger, I went out of my way to find the best deal I could, regardless of the quality of the sandal, shoe or boot that I purchased and then expected to comfortably support me while going for strolls in the park, walks on the beach, hikes in nature, climbing mountain trails and taking part in friendly Fitbit step competitions. In some cases, my feet were in bad shape when I got home. 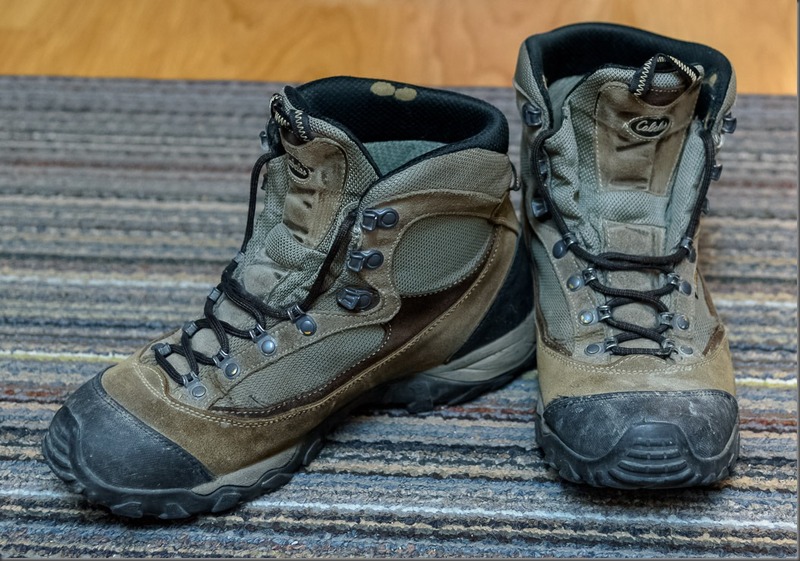 I have worn everything from Dockers shoes, Running Shoes, Sandals, Cowboy Boots and Hiking Boots while going on walk-abouts, but in the end my footwear of choice as a photographer quickly became hiking boots, which not only gave me good ankle and arch support, but had the traction I needed for walking in rough terrain. And it is always vitally important that these boots can breath, but also be waterproof for the many times I end up walking through puddles, shallow bogs, snow and ice. About 7 years ago, I purchased a pair of Cabela’s own brand of Hiking Boots. 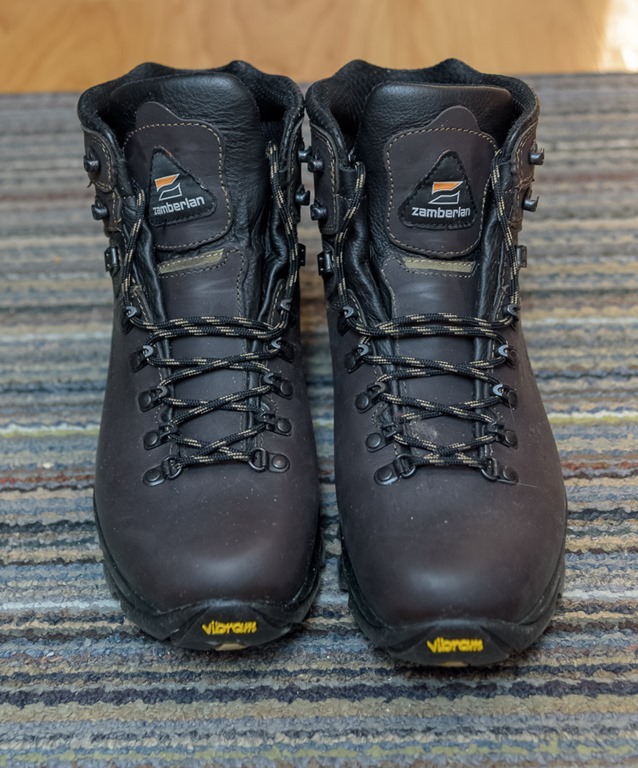 Not only were these affordable at less than $150.00 on sale, but they had everything I thought I needed in a quality boot that would last me a lifetime. And they came with what I was told, was a lifetime warranty. Be careful of these so called lifetime warranties, as they are not what they first appear to be. The lifetime, is the expected lifetime of the boot, not your lifetime. So when I took these back to Cabela’s after 3 1/2 years, with the toe cap welt opening up and the stitching wearing away, I was told that the warranty did not apply. 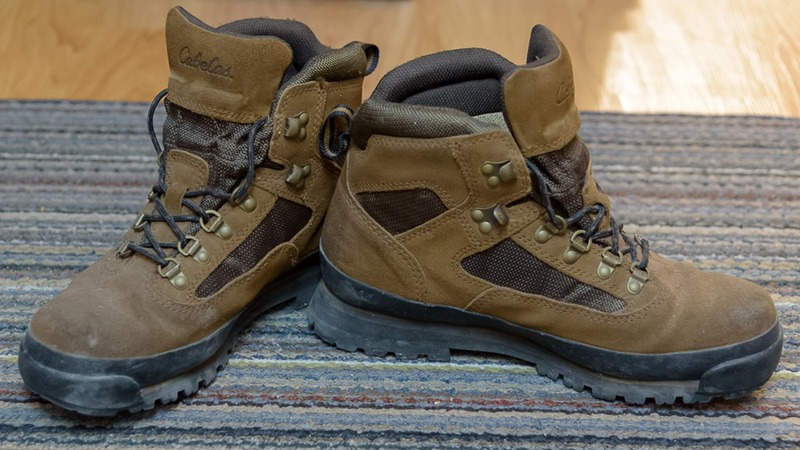 After some haggling with the management at Cabela’s they agreed to give me another pair of Hiking Boots, but the hitch was that these had to be one of their clearance models. And when the shoe salesman fitted me, he told me I needed a size 9 1/2. I have never in my life worn anything larger than an 8 1/2, but this pushy person insisted that as I aged my feet had grown both in width and length. So I left the store with a pair of hiking boots that I have worn only 4 times, simply because they are too big for me. I even tried putting heel supports in the back of them, but this didn’t work very well and with the extra length, I found even my balance was off while walking in them. So I will give these away to someone else who could use a reasonably good pair of hiking boots. 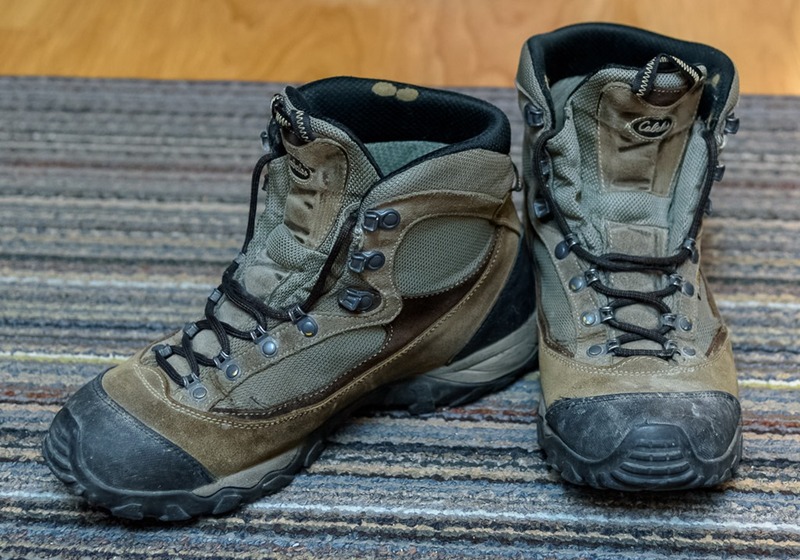 So with my old hiking boots totally worn out after 7 years of hitting the trails, which is a good length of time for most outsoles to last, I began the hunt for something to replace these. 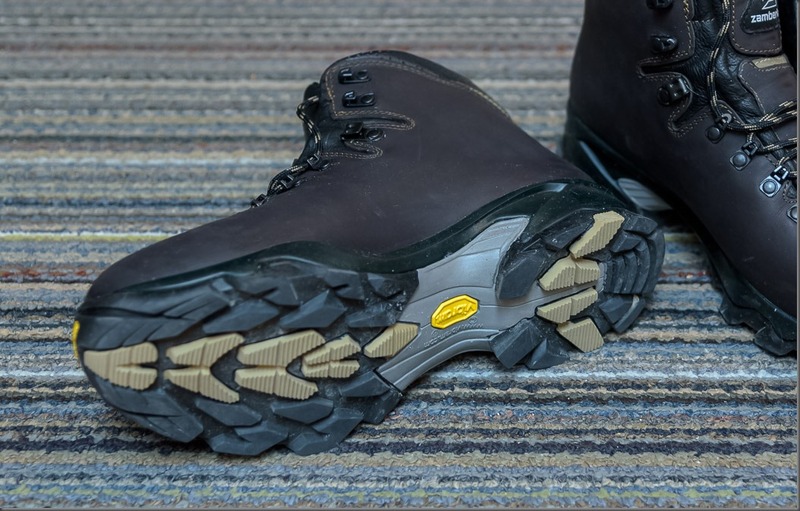 I searched the internet, looking at numerous hiking boots and did a lot of reading about what would be best for me and my personal comfort. I have strange feet, and yes I know you are thinking to yourself, but he is strange anyway so why not strange feet? I have what I call duck like front part of my feet and a very narrow heel. Along with that I have what is called Plantar Fasciitis, otherwise known as fallen arches or flat feet. This sometimes comes with age and the constant pounding that we put on our feet, as well as expecting them to support us, even when we become overweight. Purchasing cheaper quality footwear without proper support can also lead to this condition and make it so that your feet are always aching and burning after a day of being on them. During my online search, I found out something I had never thought of before, or had perhaps read it and dismissed it with my past purchases. 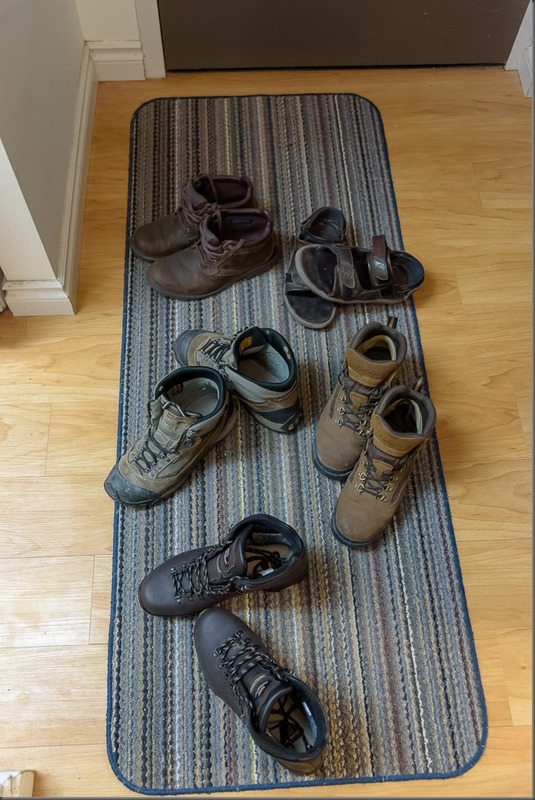 You might notice that below each of the Zamberlan Boots, I don’t call them hiking boots, but rather backpacking boots. There is a difference and one that is very important as a photographer. 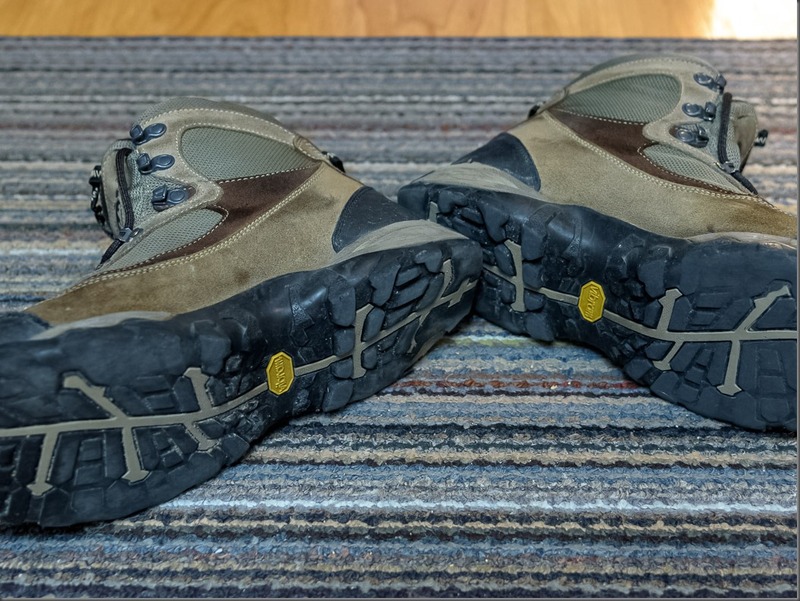 I never thought about having other than hiking boots that would support me along the trails, but what about all that extra weight I carry around with me? I have a large camera bag, that holds all my equipment as well as a place to carry a tripod or monopod while out on the trail. That extra weight sits on my back and adds to what I might need in a boot for proper support. Sure, hiking boots will do for a short trip, but if you are out all day, regardless of wandering around in the city or out on a back trail, better quality backpacking boots are what you might want to take a look at. I have never been able to find a pair of boots that would totally meet all my needs, that is up until now. With my narrow heels, I always have slippage at the back, even with doing my laces up nice and tight. And arch support is not quite what I would like it to be. In my reading on my quest for finding new boots, I discovered that Zamberlan, an Italian maker of Hand Crafted Full Grain Leather Boots, makes men’s and women’s boots differently. They use something called a boot last, which basically is the design of the inside of the boots. 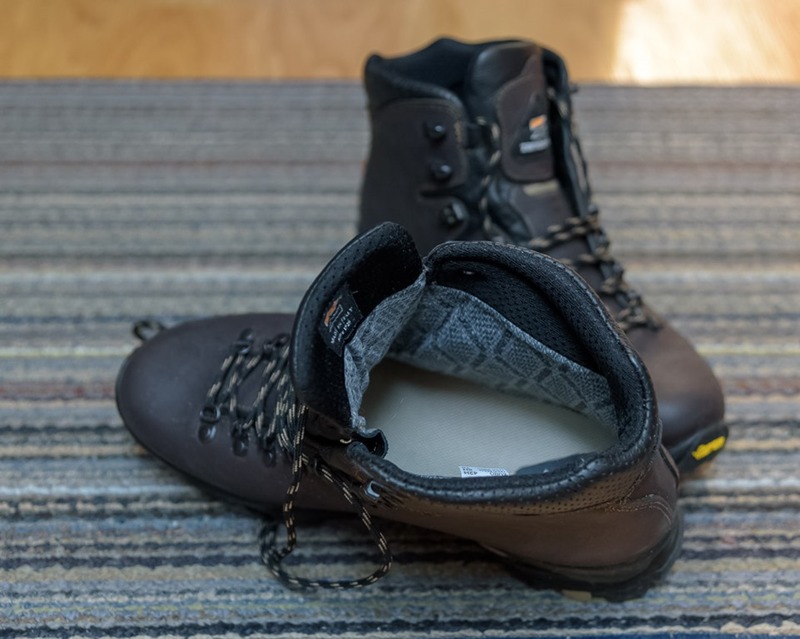 What I learned is that with their women’s boots, the main difference between them and the men’s boots is that because women generally have higher arches and narrower heels, the boot last, is made to accommodate these needs. So other than this, there is no difference between the men’s and women’s boots. You can easily guess which ones I purchased and finally a pair of boots that fit me properly!!! So the next time you think about your next camera gear purchase, don’t forget to think about your feet and take the time to purchase a good quality pair of boots or shoes, that could well last you a lifetime if you take care of them properly. And with these Zamberlan Boots, I can actually have the Vibram outsole replaced once it wears out, so I am looking at, at least 20 years for this pair of boots.